All hard drives fail eventually. Yours will, too. I’ve come to the realization we should not to be trusted to back up our own computers. Backing up is planning for an unpleasant future and insurance agents will tell you how hard it is to get us to do that. We need to make backup automatic and let our computers do the drudgery of protecting themselves. Think about what’s on your computer – family photos, important documents, financial information, contacts phone numbers and addresses and more. All kinds of things you would not want to do without. Until recently, I might have suggested services such as Crashplan, Carbonite or others that back up your computer to their cloud service. Most had drawbacks such as a high annual cost. And some of the plans only backed up the internal drive in your PC and none of the external ones. And some plans refused to back up video files, often some of our best memories. And costs skyrocketed if there are multiple computers in the home, as is often the case. Of the ones I looked at Crashplan’s $150-a-year plan for backing up two to 10 computers and an unlimited amount of data was probably the best. It also had the advantage of letting you access your backed up files from an app on your phone. To get going, you need to subscribe at its website and download the software to each of your computers. Getting it going should take less time than buying a life-insurance policy and you can do it alone. But, I was not impressed with its apps’ ease of use. If you subscribe to Office 365, you automatically get a terabyte of storage at Microsoft’s cloud storage service OneDrive. Here’s what is amazing and it got by me when it was announced in October 2014. If you use up the terabyte, you get more. Microsoft says OneDrive has unlimited storage. It said the unlimited storage was rolling out slowly and when I subscribed to my Office 365 a few months ago, I only received one terabyte. If you already have Office 365, you have a terabyte with more supposedly coming. Or, if you do not have Office 365, you can subscribe for $6.99 a month. Apparently you have to apply for space beyond one terabyte but I’ve seen people online mention they know users with tens of terabytes from OneDrive, all at no additional cost. Or, if you want unlimited space without any concern, Amazon’s Cloud Drive is just $60 a year for unlimited space. I lean towards OneDrive only because I already have Office 365. Next I wondered, with this unlimited space on either OneDrive or Amazon Cloud, how can I back up to it? I discovered a program called Arq. It backs up your PC or Mac and its external drives to a variety of cloud services including Amazon, OneDrive and Google. I have been playing with its 30-day trial and have decided to buy it for our computers. It is a $40 one-time cost per computer or you can get a five-pack for $170. As with any backup process, test it to make certain it meets your needs and use more than one system. Backup critical files not only to the cloud, but to local drives or have a USB drive capable of holding your most critical files. 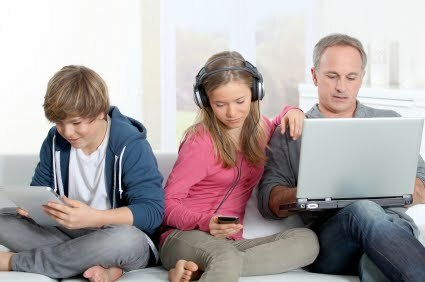 There are all sorts of links, and additional information about this at this week’s link post at FamilyTechOnline.com.